Ms. Alisa Kunapinun came from Thailand as a robot engineer. She is a Go veteran who began her career as a student, but it was only when she came to Japan that she seized the opportunity to focus on Go again. 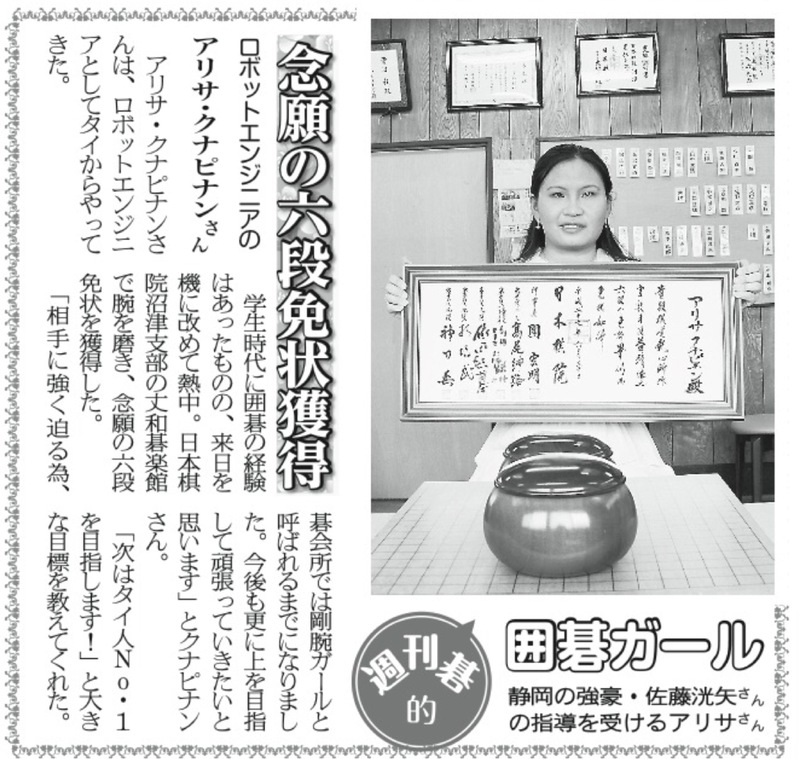 Improving her skill at Jowa Gorakukan of the Numazu branch of Nihon Ki-in, she got her desired 6d certificate. Ms. Alisa Kunapinun who gets guidance from Mr. Sato Koya, a powerhouse player of Shizuoka.